The historic romance drama Resurrection tells the story of the man who determined the fate of the world. The story takes place in the 13th century and centers around the life of Ertuğrul, the father of Osman I, founder of the Ottoman Empire. Ertuğrul is a young brave man and the younger son of Suleyman Shah who came across prisoners taken by the knights of the Knights Templar. He saves their lives and the life of a young girl, and takes them to their tribe without knowing their true identity. The Seljuk Empire threatens to go to war if they do not let their guests go and the Knights Templar seek to take revenge. 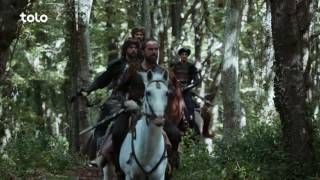 Erturgrul bears the burden of his clan and needs to find a new land for his them.